Dr. Al J. Mooney, M.D. 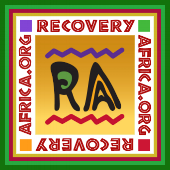 is the medical director and key founder of Recovery Africa, and is an internationally recognized expert in the field of addiction and recovery. Dr. Mooney is the author of The Recovery Book, which has sold more than 350,000 copies and has been described at the "Bible of recovery." The second edition of The Recovery Book was released in late 2014 (see more at www.TheRecoveryBook.com and @TheRecoveryBook.) He served as CEO of the Willingway Hospital for more than a decade, and is currently a member of the Board of Directors and Chairman of the Willingway Foundation. Dr. Mooney helps carry the recovery message in the U.S. and abroad, and he has assisted in the development of recovery programs around the world. He worked with Georgia Southern University to establish one of the first “recovery campuses,” in the US. As a pioneer in the field of addiction medicine, Dr. Mooney helped to establish the certification standards for the specialty and is an Inaugural Diplomat in the American Board of Addiction Medicine. He has also been recognized by his peers through listings in the current and past editions of the book, Best Doctors in America. He spent over a month in Ghana on trips in 2011, 2013 and 2016 where he worked with professionals and numerous recovery programs. He wants Recovery Africa to flourish in ways that enhance recovery in Africa and in North America. Dr. Al loves Ghana and its people, especially those who are finding new lives through 12-step recovery. Older Post2016 Mid Year Newsletter: It's Been a Busy Summer!